The murders of the seven Americans, allegedly now linked to Guzman, occurred over a nine-week period. FORT WORTH — U.S. prosecutors are considering filing new charges against Joaquin “El Chapo” Guzman, the world’s most notorious drug trafficker, for the murder of seven U.S. citizens, including DEA agent Enrique “Kiki” Camarena, WFAA has learned. Three former Mexican police officers have told the U.S. Attorney’s Office in Los Angeles that they saw 61-year-old Guzman, then a rising cartel thug with a penchant for violence, participate in a killing spree of Americans in late 1984 and early 1985. 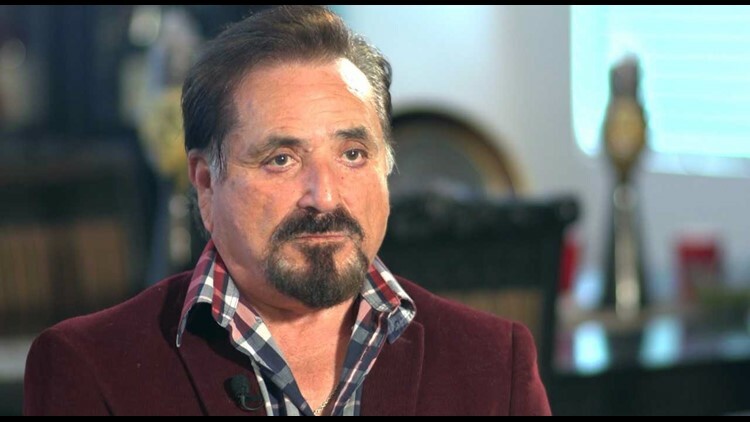 One of the witnesses, former Jalisco State Judicial Police Officer Jorge Godoy, spoke directly with WFAA detailing Guzman’s participation in the murders. Godoy, 57, now in the U.S., is a protected witness. He said he still fears for his life, but agreed to speak and be identified on-camera for the first time. “He [Guzman] likes to cut the people,” Godoy told WFAA. He said “El Chapo,” even in his late 20s, took pleasure in bloodshed. The murders of the seven Americans, allegedly now linked to Guzman, occurred over a nine-week period. Guadalajara cartel bosses sought revenge for drug raids in 1984 that led to infuriating losses, including the torching of 10,000 tons of marijuana, worth an estimated $5 billion. The U.S. Attorney’s Office in Los Angeles declined comment. “As you probably know, we don’t comment on investigations, which includes people who have not been charged,” said Thom Mrozek, a spokesman. Guzman now sits awaiting trial in a Manhattan detention center facing drug-related charges in New York federal court. But Guzman faces no specific murder charges. In an earlier indictment, he faced charges in New York for a dozen murders in Mexico from 2000 to 2008. U.S prosecutors, however, dropped those charges months before his extradition from Mexico, which happened the final day of the Obama Administration. Hector Berrellez, a former DEA agent, said Godoy and the other two former Mexican police officers have come forward because Guzman doesn’t face charges for the murder of U.S. citizens. “The U.S. Attorney’s Office is now interested in the case and I believe it is because of the new [Trump] administration that is there,” said Berrellez, who helped head up the investigation into the murder of Camarena. The other two former police officers declined to speak with WFAA. Legal sources said U.S. prosecutors may have dropped the 12 prior murder charges against “El Chapo” because the victims were likely Mexican nationals killed in Mexico. But experts said no such legal conflict exists if U.S. prosecutors wanted to try “El Chapo” for the murder of U.S. citizens in Mexico. The killing spree, involving Guzman, began Dec. 2, 1984, when Guzman helped murder four Americans who made the mistake of knocking on the door of a drug lord, Godoy said. Pat Romero,&nbsp;of Ely, Nevada, holds up a picture of her brother, Benjamin Mascarenas. The Americans – 29-year-old Benjamin Mascarenas, his 27-year-old wife, Pat, along with 32-year-old Dennis Carlson and his 36-year-old wife, Rose – were Jehovah’s Witnesses in Guadalajara on a missionary trip. Godoy, who was assigned as a bodyguard to protect drug kingpin Ernesto Fonseca, said the missionaries were tortured and the women raped. Guzman then shot the missionaries one by one and they fell into an open grave, Godoy said. The bodies of the four Americans have never been recovered. More murders came on Jan. 30, 1985. Two Americans – 35-year-old John Walker and 33-year-old Albert Radelat, of Fort Worth – walked into a Guadalajara restaurant filled with cartel members. Jorge Godoy, a former police officer in Mexico now living in the United States under Witness Protection, is one of three witnesses telling federal prosecutors about El Chapo&rsquo;s participation in the murders of American citizens. Walker, a Vietnam veteran and recipient of two Purple Hearts, was in Guadalajara writing a novel. He decided to have dinner with Radelat, a dental student studying at the University of Guadalajara. Godoy said he was guarding the front door of La Langosta restaurant when Walker and Radelat entered. “[Walker] asked, 'Can I go inside?’ I said, ‘It’s closed and please you have to go. Please go,’” Godoy recalled. But minutes later, Godoy said, as the two Americans began to walk away, drug lord Rafael Caro Quintero ordered them brought inside. "[Walker and Radelat] passed by me and I said, ‘Oh my God,’” Godoy told WFAA, knowing the Americans were in danger and likely mistaken as DEA agents. The Americans were taken to a back room near the kitchen, Godoy said, where Caro Quintero broke his pistol over the head of one of the Americans. Guzman was one of the thugs who tortured them with an ice pick before the Americans ultimately were killed. Godoy claimed he saw Guzman cut Walker’s throat – almost decapitating him – as women cooking nearby in the kitchen were told to keep quiet. Guzman then helped wrap the bodies and bury them in a nearby park, according to Godoy. A week later, on Feb. 7, 1985, Guzman was assigned to help kidnap the Mexican pilot who flew DEA agent Camarena to locate cartel marijuana fields, Godoy said. The pilot, Alfredo Zavala, was brought back to the house where his partner, 37-year-old Camarena, was already being tortured. Godoy said Guzman and others were “jumping with their knees” on the kidnapped pilot and DEA agent, breaking their ribs. Berrellez said the former police officers witnessed Guzman shoot the four American missionaries. 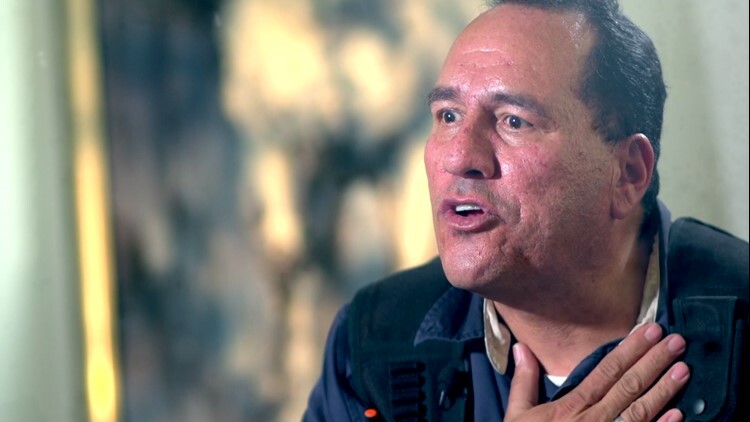 Phil Jordan, a former special DEA agent in charge in Dallas, spoke with the three former Mexican police and said he believes they're credible. “’El Chapo’ has gotten away with murder in the extradition agreement coming to the United States,” said Jordan, also a former director of the El Paso Intelligence Center. Jordan said the U.S. government focused its investigation almost entirely on Camarena’s murder. 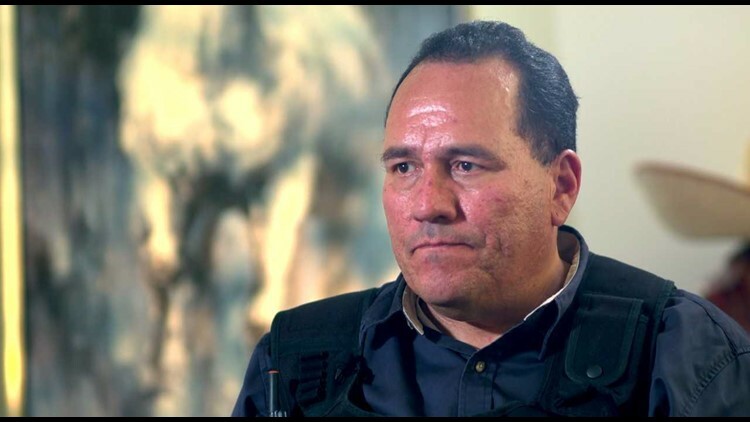 Drug lords Rafael Caro-Quintero, Ernesto Fonseca and Miguel Angel Felix-Gallardo ultimately were convicted in Mexico on charges related to Camarena’s murder. Their convictions cleared the way for “El Chapo” to rapidly ascend to power. Families of the six Americans told WFAA that they now want to see charges filed against Guzman. 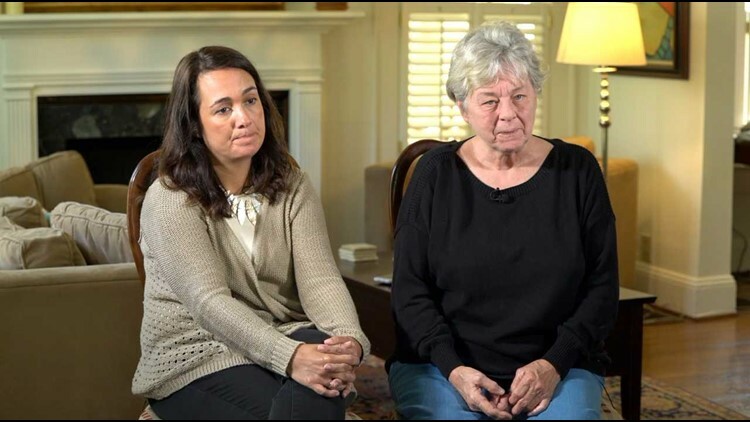 Walker and her daughter, Keely Walker Muse, said they felt the U.S. government has ignored them. “They were all murdered with the same motivation – to retaliate against the U.S. government for burning down their fields,” said Keely, 43. Lourdes Radelat, of Fort Worth, said murder charges for “El Chapo” should be filed. “My brother was an innocent man just trying to further his education in dental classes at the University of Guadalajara,” 65-year-old Lourdes said. She said the months-long search for the bodies of her brother and Walker took a toll on her family, particularly her father, Dr. Felipe Radelat, of Fort Worth. 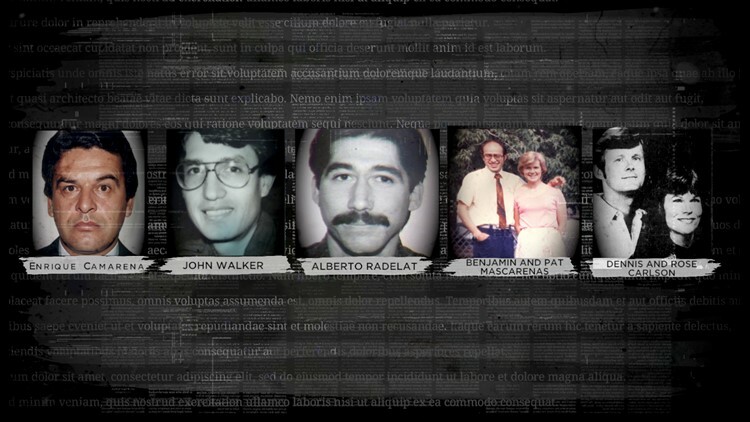 The six Americans murdered in Mexico in late 1984 and early 1985. Albert Radelat, a dental student from Fort Worth, was studying at the University of Guadalajara. 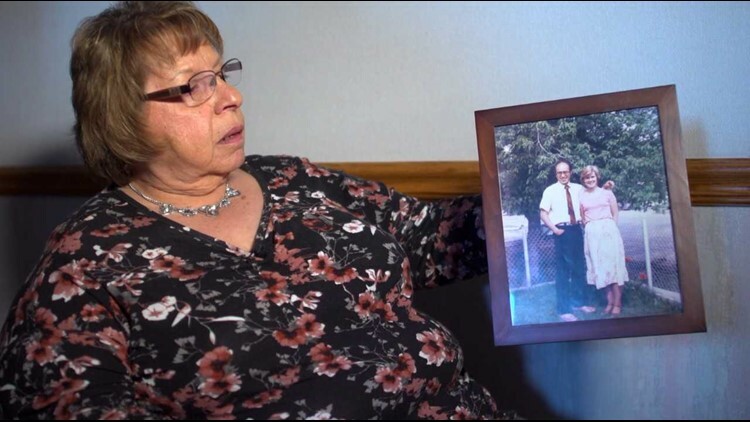 Pat Romero, the 68-year-old sister of Benjamin Mascarenas, said they haven’t heard from the U.S. government in years.